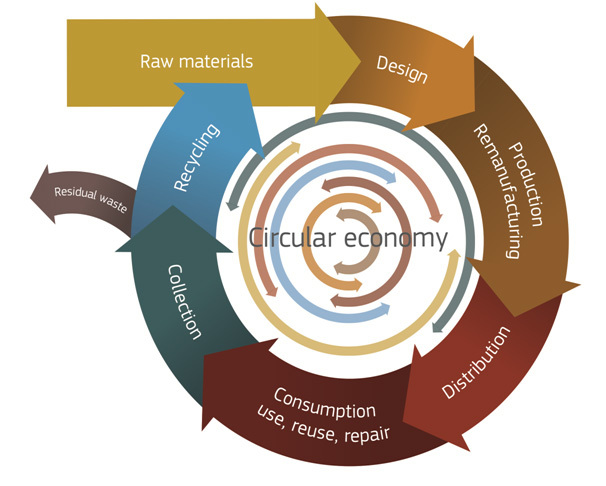 ‘Circular Economy’ is an economic model focused on eliminating waste and inefficiency and promoting greater resource productivity that not only promises big opportunities for companies to drive growth, innovation and competitiveness, but also in the nonprofit sector for resource utilization and sustainable inclusive growth. SAFE mandatorily embarks on practical actions and solutions they can take to turn circular economy aspiration into sustainable action to optimize resources, eradicate waste, accelerate innovation and performance, and contribute to a stronger competitive economy. The concept of the Circular Economy has been around for a number of years now and has become an increasingly familiar term in the fields of sustainability, waste management and economics. It is popular amongst both the private and public sector bodies and could well move from being an interesting theory to a regulatory necessity in the European Union in the not too distant future. However it is often misinterpreted and can stand for different things by different people who may focus on only a small part of the overall concept. The circular economy is a concept in which growth and prosperity are decoupled from natural resource consumption and ecosystem degradation. By refraining from throwing away used products, components and materials, instead re-routing them into the right value chains, we can create a society with a healthy economy, inspired on and in balance with nature. Currently, we are confronted with products in daily life that were not designed and produced for re-use. If we want to re-use such products, we must take a circular approach with raw materials that were used before recycling the products or components as a raw material again. This must focus on realizing the highest possible value of the material, as this requires the least effort and/or energy. Recycling is often more energy-efficient than extracting new raw materials through mining or agriculture. 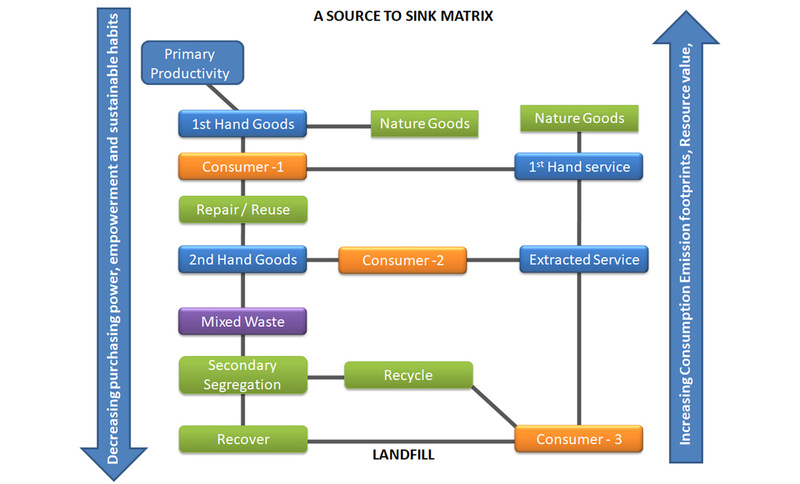 Below given is a schematic representation of the consumption-conservation paradigm to explain the current scenario. Sustainably intensifying the ecosystem services in the 3rd habitat, that is the periurban space under tremendous anthropogenic stress.